Is your home looking cluttered and chaotic? Sure it could be messy from a lack of storage and organization – and everyday ‘life’ – but did you know it could also be the result of some common decorating mistakes that you may be making right now? Eeek! 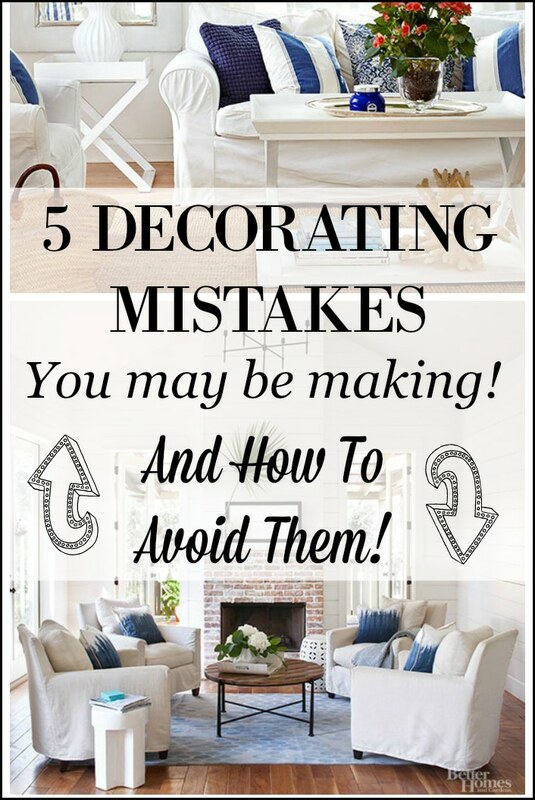 See the 5 decorating mistakes that make a home look cluttered and how to avoid them! 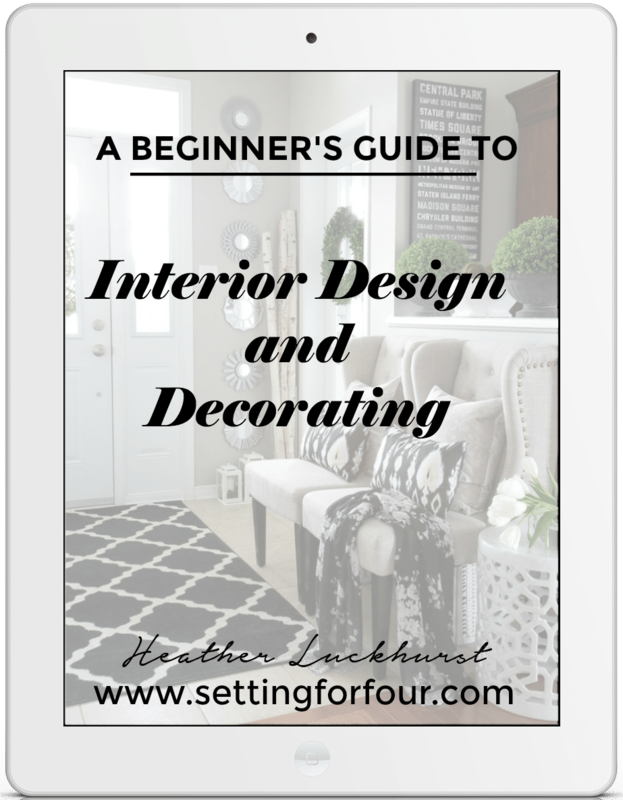 Before getting to this design lesson – I have something fun, fabulous and FREE to give to you to help you with your decorating! Then print it off and keep it handy when you’re decorating a room! 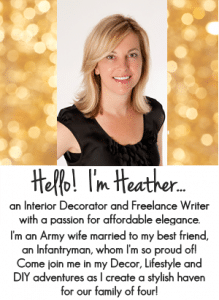 I also offer online decorating services so if you’d like some help with your home, check out the information here. ~ How using too many colors can actually make your home look cluttered and messy. ~ We all love pillows but how many is too many? 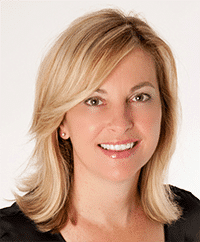 ~ Why you should stop pushing your furniture up against the wall and a clever room layout tip. ~ How to prevent your table tops from looking cluttered with an easy decor solution. ~ How hanging pictures randomly without a plan will make your space look disorganized and chaotic – and the answer! Pushing your furniture up against the walls is guaranteed to make the space look cluttered and messy. Instead do this! Pull the furniture out from the walls and arrange them toward the center of the room as in this seating arrangement. 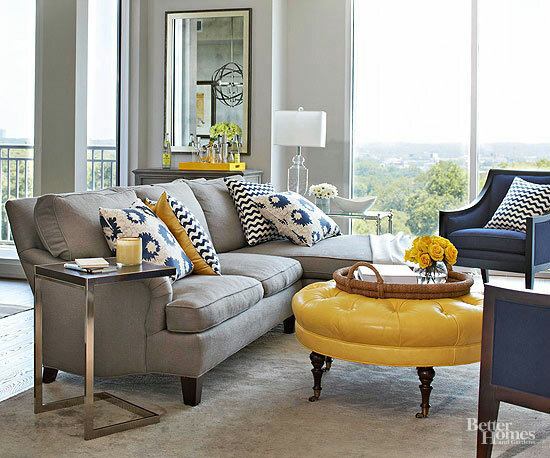 This grouping of armchairs around a coffee table creates great traffic flow and the perfect conversation area. Ground the furniture with an area rug. 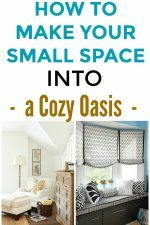 See my Design Tip: How to Choose the Perfect Area Rug to calculate the best size of rug that you need for your room! Adding loads of throw pillows in un-coordinating patterns and colors on a chair, sofa or bed makes the room look messy and chaotic. The living room above demonstrates how to get a well-decorated look that’s not cluttered because the sofa has just the right amount of decorative pillows and they have coordinating patterns and colors that flow with the room. Using two at each end adds beautiful color and pattern, while keeping the space clutter free. If your sofa has a deep seat you can add a row of pillows (4 or 5) along the back as long as they coordinate in color and pattern. 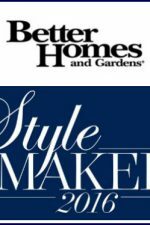 See these rules on how to mix color and pattern! Pictures and art hung in a random all-over-the-place fashion makes a room look messy. The solution? 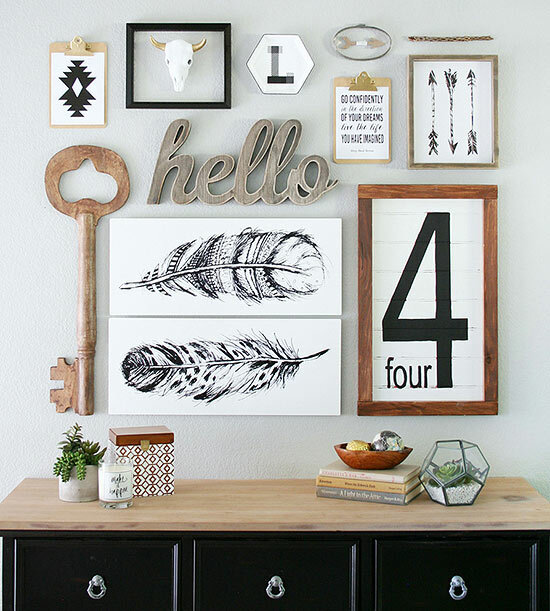 Group pictures in a gallery wall arrangement to give your room an organized look. The art hung in our family room hung above our sofa, demonstrates how several canvases can be hung to create a balanced, decluttered and visually pleasing look. 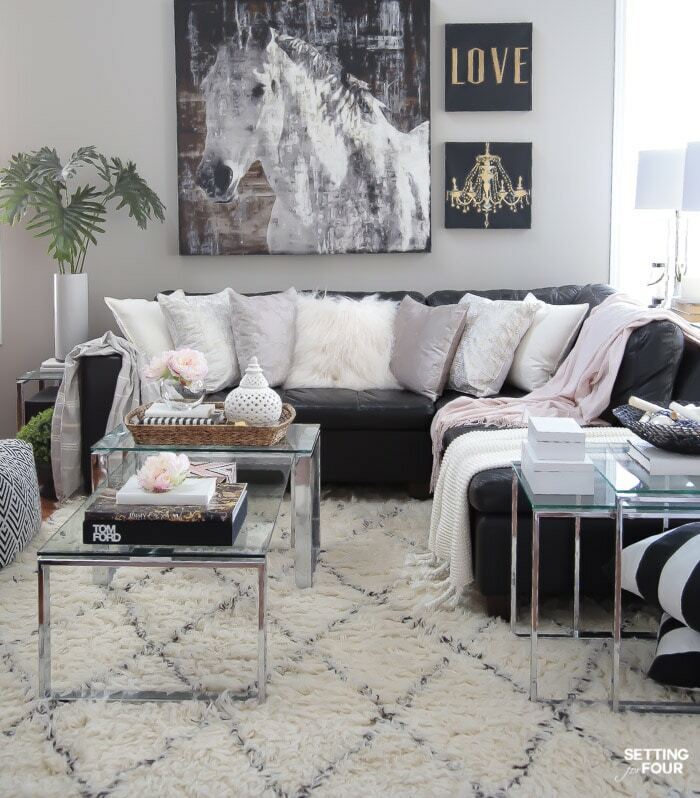 Horse Art Decor: 20 Stunning Looks! Filling the entire surface of a console table or coffee table with decor will make a room look really untidy. Instead, take stock of your decorative accessories and edit the number of them that you use. 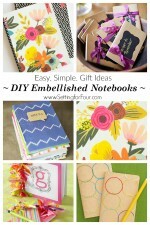 Then create a vignette (one grouping) or create two groupings as demonstrated in this photo. First, edit what you already have on the table top. Only display what you absolutely love and remove the rest. Group many small objects on a decorative tray or bowl then create your vignettes. One styling trick I love is to use a stack of books to elevate small objects to add interest. Decorating with too many colors is guaranteed to make a home look cluttered and messy. The solution is to use one or two accent colors combined with neutral hues to give your home a cohesive, relaxed look. 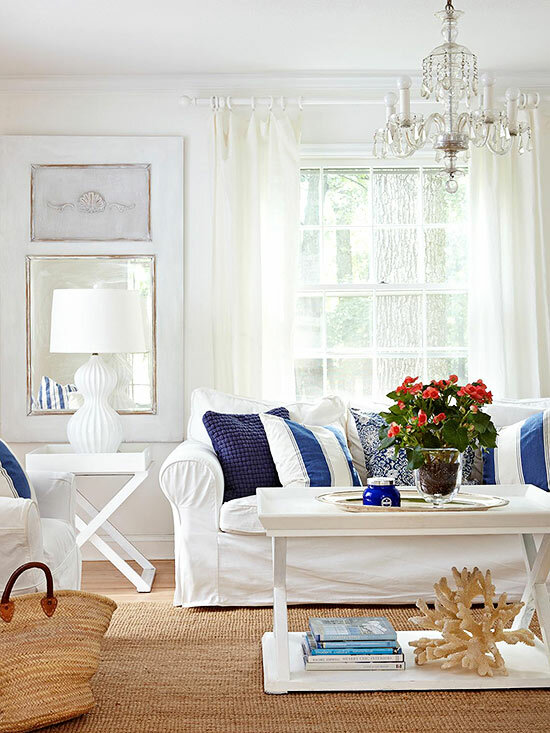 This beautiful living room using many shades of blue and a pop of red in the flowers combined with neutral whites and tans to create a cohesive space. The neutral color walls, curtains, rug and furniture allow the room to breathe as well as make the room look more spacious and open. Natural fiber rugs are a great way to add neutral color to a space and calm down color overload. 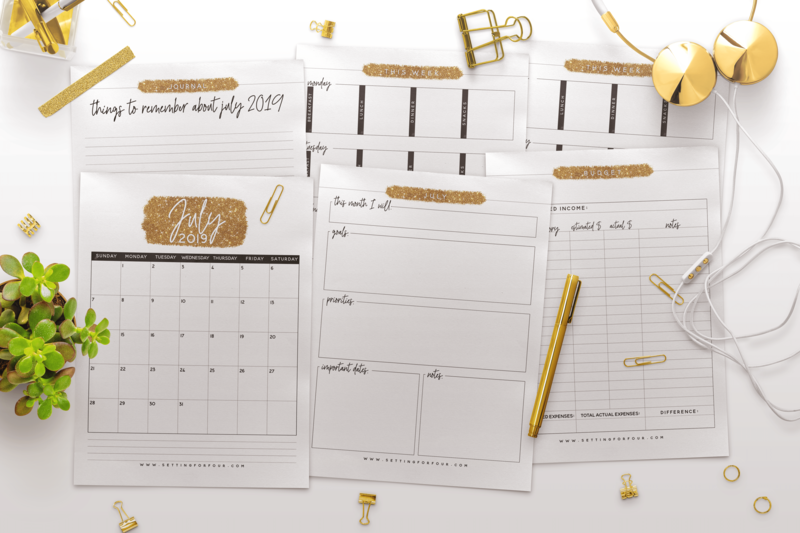 Get your copy of the 2019 Boss Babe Printable Planner – 106 pages to stay organized all year! 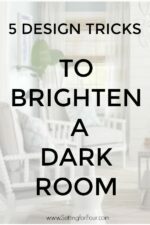 I hope you enjoy this decorating post! Hope that helps! Have a beautiful day! Hello, do you happen to know what the source information is for the image with the ship lap wall, brick fireplace, and amazing light fixture? I am interested in the light fixture, but can’t find the source. Any help will be appreciated! Sorry – no I don’t know where it’s from. I loved your suggestions but for one. I have a living room with the front door and entrance to the dining room exactly kitty corner to the entrance to the bedrooms with a fireplace, on the diagonal, in one of the other corners. If I pull the furniture away from the walls would mean walking around all the furniture to get from the bedrooms and main bathroom to the kitchen. Any suggestions please? Decorate in a way that makes your face smile when YOU walk in the house….period.